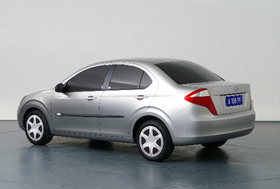 Pininfarina designed a new sedan for Jianghuai Automobile. The car debuted at the Beijing show. SHANGHAI/TURIN – Italian design and engineering specialist Pininfarina S.p.A. will open a product development center in Shanghai to boost its presence in the world's largest auto market. The new center will open by the end of the year in Shanghai and will help localize some of Pininfarina's engineering activities for Chinese automakers. The center will be located in the Shanghai suburb of Anting, and it eventually will house as many as 200 engineers. Most will be Chinese plus "a smattering" of Italians, said company CEO Silvio Pietro Angori in an interview in Shanghai. "We will continue to do designing in Italy but engineering here," Angori said. "We will not be relocating stylists or designers to China." The center will be run by Michele Straniero, general manager of Pininfarina China. "China is the biggest automotive market, but [domestic] sports and luxury vehicles are very under-represented," Straniero said. Pininfarina has been working with Chinese automakers since 1996. China now generates 40 to 50 percent of Pininfarina's global revenue, according to Angori. He did not disclose specific revenue figures. Pininfarina opened a China office in Beijing in the 1990s and was the first Italian company to sign a contract to design a vehicle for a Chinese automaker, creating the Zhongyi small minivan for Hafei Automobile Industry Group Co. The vehicle launched in 1999. “We have been in China for over a decade now and our presence has contributed to the development of highly successful models,” Pininfarina CEO Silvio Angori said in a statement. Pininfarina has worked with automakers such as Chery Automobile Co., Anhui Jianghuai Automobile Co. and Shenyang Jinbei Brilliance Automobile Co. Seven models designed or engineered by Pininfarina were shown in April at the Beijing auto show, including the restyled Brilliance Junjie sedan and station wagon, subcompact sedan and a small minivan for Jianghuai Automobile.